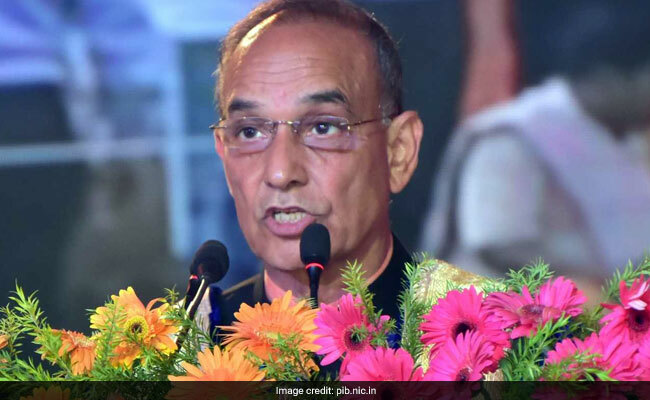 The Human Resource Development (HRD) Ministry will not accord minority status to any educational institution on linguistic basis, Minister of State (HRD), Dr. Satya Pal Singh told Rajya Sabha today in a written reply. The minister said the linguistic minorities do not come under the ambit of the NCMEI Act, 2004. New Delhi: The Human Resource Development (HRD) Ministry will not accord minority status to any educational institution on linguistic basis, Minister of State (HRD), Dr. Satya Pal Singh told Rajya Sabha today in a written reply. The minister told the upper house that the National Commission for Minorities Educational Institutions (NCMEI) under the Ministry of Human Resource Development gives the minority status to the educational institutions on the basis of six religious communities notified by the Ministry of HRD under the NCMEI Act, 2004, viz., Muslims, Christians, Sikhs, Buddhists, Zoroastrians (Parsis) and Jains only. He said the linguistic minorities do not come under the ambit of the NCMEI Act, 2004. Hence, he added that the question of empowering any agency to issue minority certificate on linguistic basis does not arise. Earlier in January, Minority Affairs Minister Mukhtar Abbas Naqvi also stated in a written reply to Lok Sabha that the government has no plans to accord minority status to linguistic minorities. To a query whether the government has any plan to give minority status to linguistic minorities, Mr Naqvi replied, "No. Madam".